Cricket South Africa officials have been lining up to deny there was any interference in the selection of the Proteas team ahead of the World Cup semi-final against New Zealand. Missing half-chances was the key factor in the Proteas’ agonising loss to New Zealand in the semi-final, says Graeme Smith. South Africa’s bowlers lost their composure when Brendon McCullum was on the rampage in the World Cup semi-final, said SuperSport commentator Kepler Wessels. Veteran left-arm-spinner Daniel Vettori holds the key to New Zealand’s success against South Africa in the semi-final on Tuesday, says former Black Caps captain Stephen Fleming. 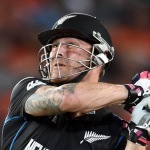 Martin Guptill blasted an unbeaten 237 as New Zealand beat the West Indies by 143 runs and set up a semi-final meeting with South Africa on Tuesday. Martin Guptill blasted the second-highest ODI score of all time, an unbeaten 237, as New Zealand amassed 393-6 and put themselves on course for a semi-final meeting with South Africa. We pick five talking points as Australia take on Pakistan in the third World Cup quarter-final match in Adelaide on Friday. The Proteas produced the most complete performance yet in the World Cup to beat Sri Lanka, says SuperSport pundit Kepler Wessels. South Africa’s senior statesmen are lining up to sing the praises of under-fire Quinton de Kock. 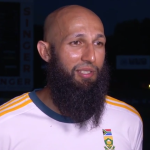 It’s time for the senior players in the Proteas squad to step up and take responsibility, says Hashim Amla ahead of the crucial quarterfinal match against Sri Lanka on Wednesday. The Proteas played a brilliant game, led by Hashim Amla’s century, but Supersport commentator Kepler Wessels sounded a note of caution. It was an unspectacular way to mark an outstanding career.